The company was originally founded by the Heringer family in 1926 under the name Lone Star Company. Starting as a petroleum marketing company, it was expanded to include a chain of service stations and convenience stores over the years to adapt to the extreme seasonality of the business. 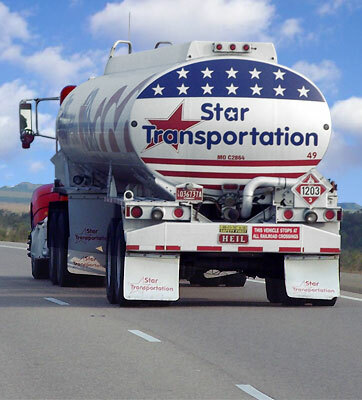 In 1994, the family further expanded the business into the petroleum common carrier business under the name of Star Transportation, LLC. Today the company consists of 105 trucks and over 130 trailers with terminals in seven states and delivering petroleum products to more than 15 states. Commodities transported include gasoline, diesel, aviation gas, jet fuel, ethanol and oil. The Heringer's have continued to maintain the spirit of the business founded by their beloved grandfather more than 80 years ago with plans of continued growth and expansion. Star Transportation's mission is to give our customers the best service possible in the industry by delivering every load requested on time and without incident. Our goal is to provide our customers information immediately so they can in turn give their customers the best service possible.